I’m always on the hunt for best deals. This is also true when it comes to my travels. I plan, do my research, and check the best bargain for seat sales, discounted hotels and all. You can find me almost every day checking every booking sites and airline pages for the latest promotions and updates. I always check info on AirAsia Zest promos for flights. I go to Agoda to score discounted hotel rooms. But little did I know that a website named ShopBack is the answer to all my travel shopping needs. Learning about ShopBack makes my travel planning easier now. It is a smarter way to get huge discounts. It is also convenient and easy to navigate. ShopBack is an online platform offering unlimited savings and exclusive deals. 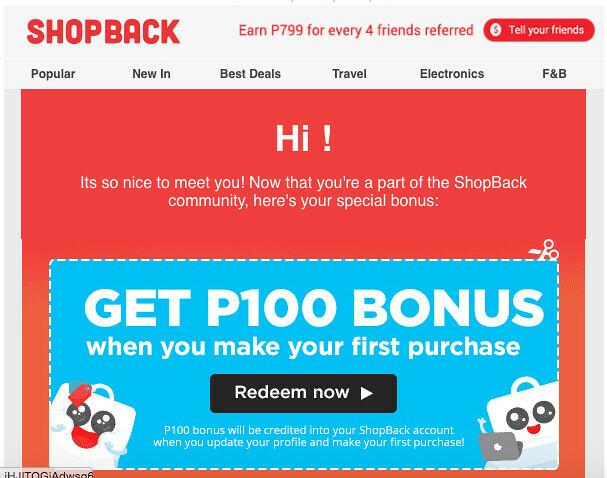 ShopBack is an online shopping website that gives cash rebates to users when they shop through their website. It is basically getting rewarded to shop online. Every spending that user make through their website, they get cashback. Its business model is based on commission or affiliate marketing, where the merchants reward ShopBack with commission for bringing customers to their shop. So every time a user buy at the website, they get a portion of that reward as cashback. Online Shopping with hundreds of merchants! ShopBack has over 300 merchants and stores for travel, fashion, food & beverage, electronics, lifestyle items, sports and outdoors and many more. As a traveler who loves scoring discounts, I’m glad they have a listing of my favorite travel merchants including international airlines like Emirates, tour companies and hotels. They also host a variety of discount codes, vouchers and coupons for online shopping. Find out about the latest promos! The first time I learned about ShopBack is when I was searching for details on Agoda promos. I was looking for a hotel that I could stay for my last night in Langkawi, Malaysia. One of ShopBack’s merchants is Agoda. A trusted booking site for accommodations, it offers the lowest price up to 80% off. I booked a nice room in a lower price through ShopBack. 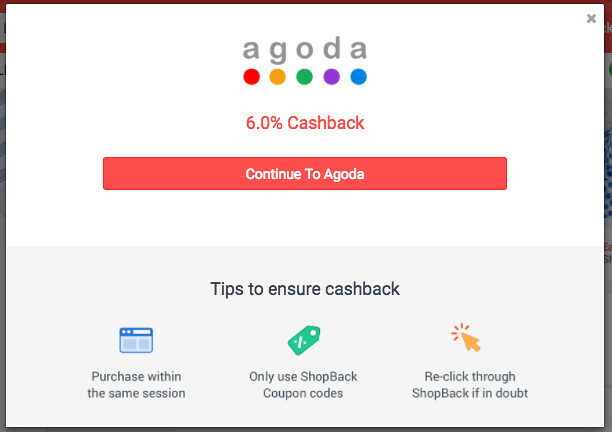 Using the website, I also got to enjoy additional savings of 6% cashback on my Agoda booking. 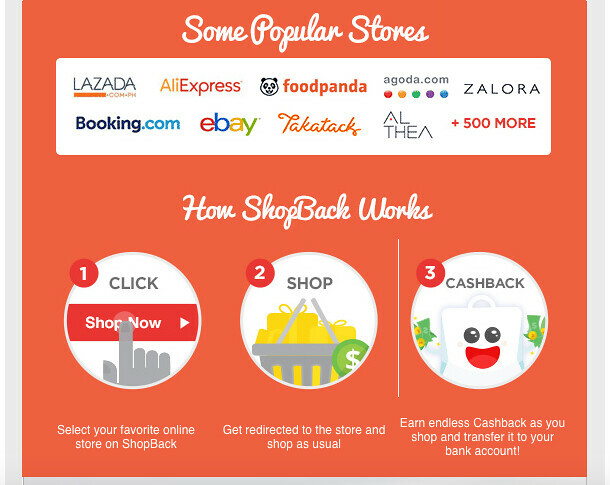 ShopBack totally makes online shopping easier and cheaper with cashback and voucher codes. Enjoy huge discounts by buying through their website. Also enjoy exclusive deals and enjoy big savings from their variety of merchants. Why CabinZero is my New Favourite Travel Backpack?